Our elegant Calla or the cheerful Clivia? We produce both colourful pot plants in our nursery. We’re proud that you’ve chosen our plants. We would like to tell you about our plants and provide you with tips on how to best care for them at home. Calla was discovered in the swamp region of South Africa in the 18th century. A governor sent the plant to Europe. Calla is a tuberous crop. 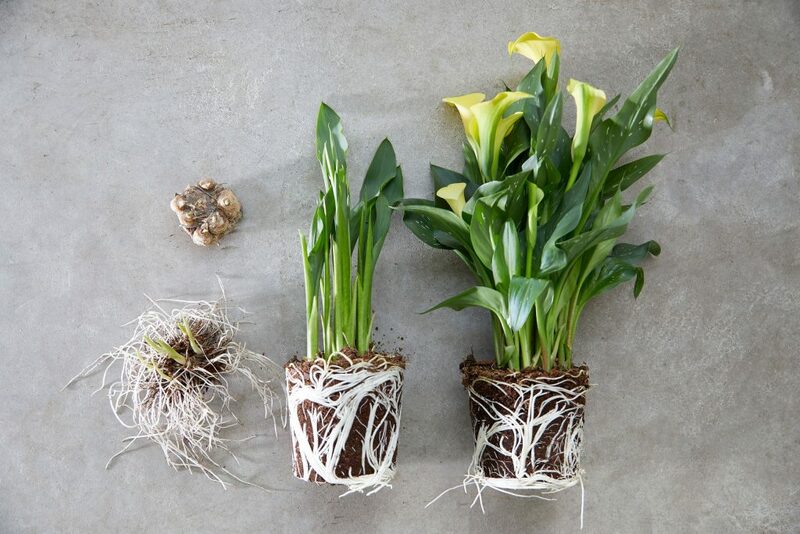 At our nursery it takes 3 months for the Calla tuber to grow into a beautiful plant. Like the Calla, the Clivia originates from South Africa. Its official name is Clivia miniata. 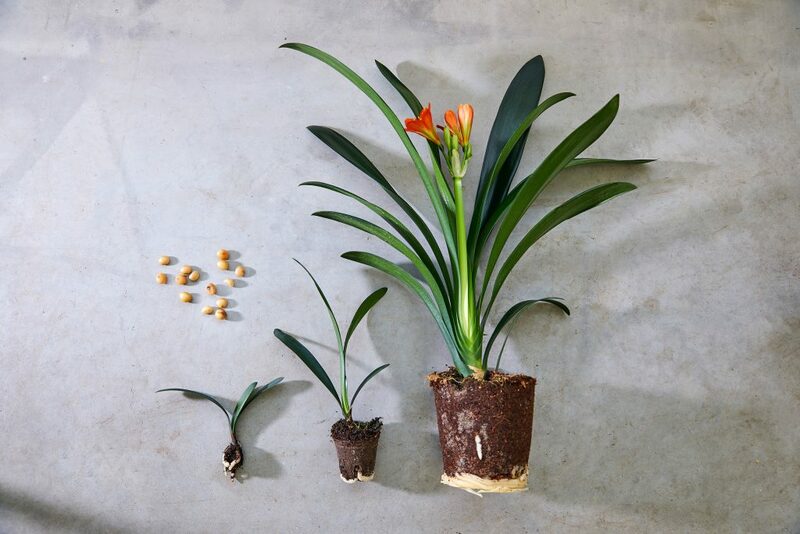 Clivia is grown from seed over at least 24 months into a single mature houseplant. Calla is most comfortable at room temperature. Choose a position with enough shade, so not in full sun. Keep the temperature nice and constant at (max.) 20 degrees and you will be rewarded with Calla’s elegant floral display! Water the Calla once or twice a week, and make sure that no surplus water remains in the pot – the plant prefers to keep its feet dry. Calla can also go outside during the summer months. Just like indoors, choose a position with enough shade, so not in full sun. Make sure you don’t leave it outside over the winter, because the plant cannot cope with frost. Clivia is a plant that requires very little care. Don’t place it in full sun, but choose a shady spot. Water once a week in the summer. The plant grows more slowly in winter, and watering once a fortnight is sufficient. Make sure no surplus water is left in the pot, since the plant prefers to keep its feet dry. Clivia’s natural rest period is the winter. When the plant has finished flowering place it in location with a temperature of 5-12 °C for 2 months. The plant will need little light and virtually no water, as long as the soil remains slightly damp. After 2 months Clivia will gradually awaken from its hibernation and surprise you with a new flower stem. Got a question for the grower? Are you a fan of plants? In that case it’s certainly worth visiting the website www.thejoyofplants.co.uk where you can find great ideas for house plants and garden plants! And don’t forget to enjoy your plant. Let us know how your plant is doing. You can also find our nursery on Facebook.